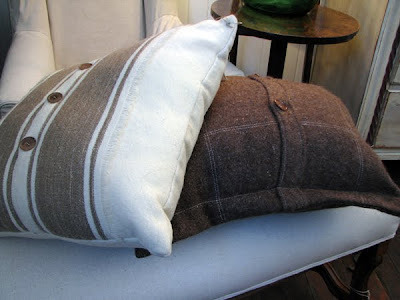 The Drill Hall Emporium: new in store...blanket cushions and draught stoppers for winter! new in store...blanket cushions and draught stoppers for winter! 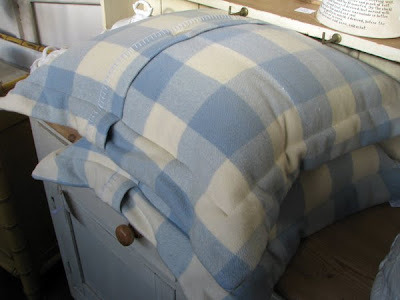 Just in time for the cold season, we have a new range of cushions which have been made from vintage English wool blankets. 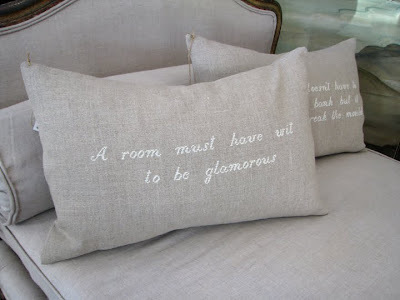 Each cushion has vintage buttons to further add charm. 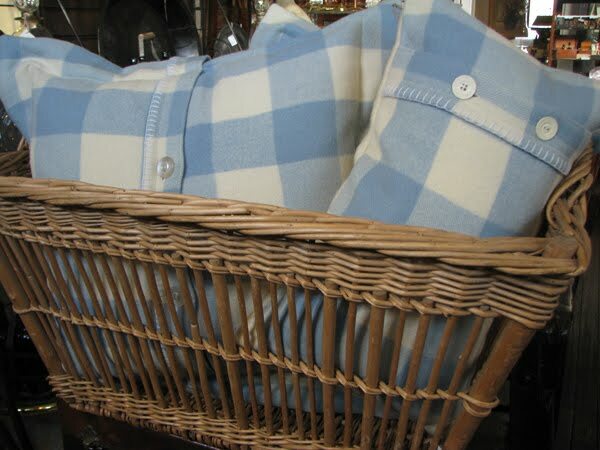 I love these blue and cream chequered cushions in the French basket, they give me warm fuzzy feelings as I conjure up images of hot chocolate and log fires. They come in two shapes...rectangular and square. 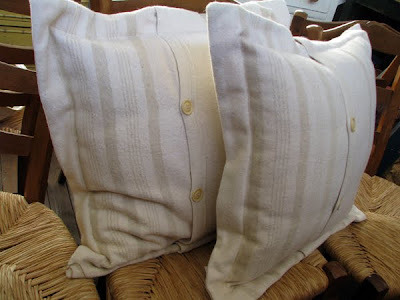 Cream and brown striped and chocolate brown blanket cushions. These are one off designs, there is only one cushion of each type with these. 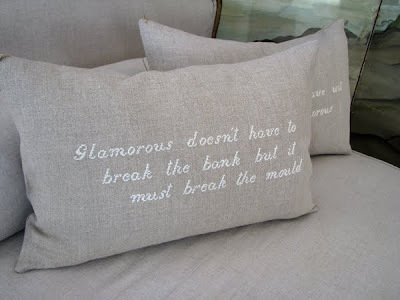 These cushions are the softest! And the stripe is a subtle beige colour. Almost my favourite. 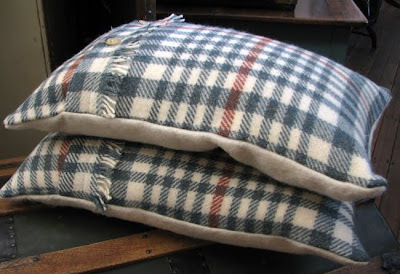 Green checked cushions with fringe and vintage button detail. 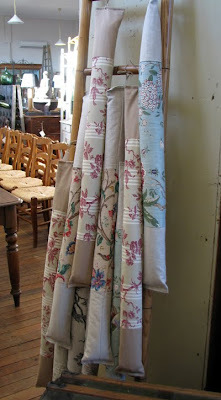 The reverse of these cushions are in a simple cream blanket fabric to add contrast. 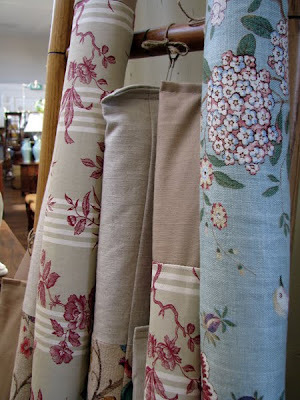 We also have a new range of linen and silk draught stoppers in store to help beat the chill. I have saved the best cushions for last! Made from pure Irish linen, these cushions have been hand stitched with quotations. These are again one off designs. I love the blanket cushions. Oh wow these are lovely! 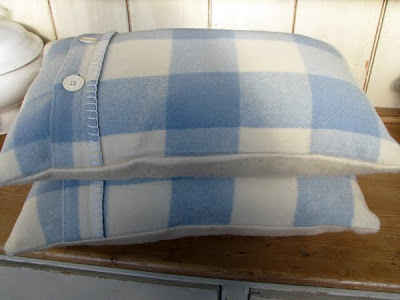 You're right, those cushions made from blankets DO make one think of hot chocolates and roaring fires (if only I had one in addition to electric heating in my rental flat)!